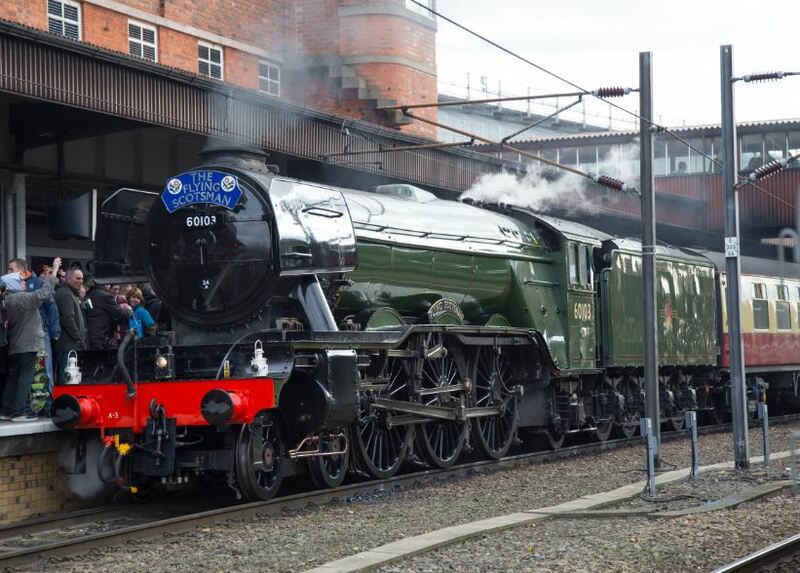 The world’s most famous locomotive, the Flying Scotsman, made its inaugural run from London to the National Railway Museum in York today after a £4.2m effort to restore the steam legend to its former glory. 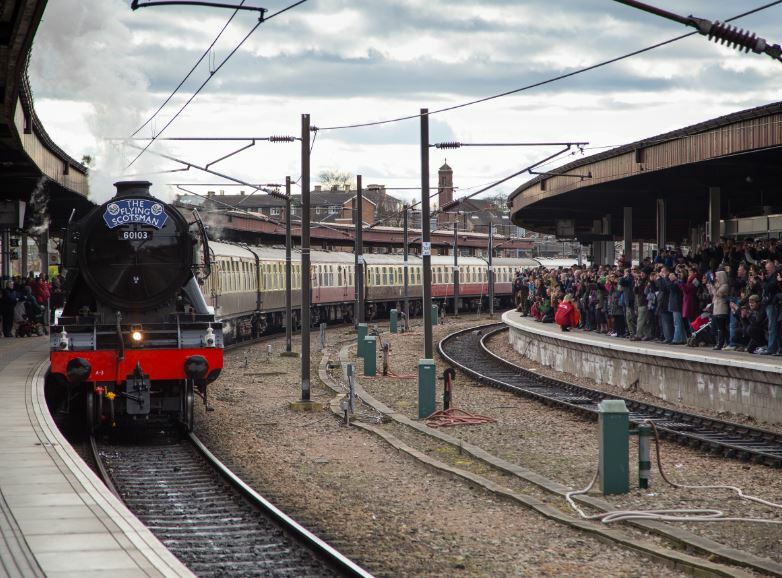 Tens of thousands of people, from fascinated bystanders to train fans and ‘puffer nutters’, lined platforms, crowded tracks and hung over bridges as the venerable locomotive thundered up the East Coast Main Line, pulling 11 carriages crammed with dignitaries, press, paying ticket holders rail engineers and former staff. Arriving into York station, only slightly later than scheduled due to some over enthusiastic spectators en route.